Thank you for visiting our official website here at East Orlando Wellness & Injury Center. Conveniently located at 3020 Lamberton Blvd, (#105), our clinic provides patients of all ages with safe, natural conservative healing modalities. Whether you’re trying to recover from a painful injury, seeking pain management options that don’t involve pills, or simply looking to keep your whole family as healthy as possible all the time, you’ve come to the right place. Our three-practitioner team offers a powerful combination of skills, experience, and compassionate care. Dr. Eric Feiter is a chiropractor who specializes in the Cox Flexion-Distraction technique of chiropractic adjustment. Our other chiropractor, Dr. Andrés Pérez, a graduate of the prestigious Palmer College of Chiropractic, came to chiropractic care because of the profound effects it had on his own health. Rounding out the trio of medical expertise is Carlos Colombo, MD. Dr. Colombo focuses on soft tissue injuries and musculoskeletal rehabilitation through physical therapy. Together we can help you and your loved ones feel and function better. East Orlando Wellness is the best Chiropractic office to visit. I am a 2009 car accident patient and my experience with this facility has been the best. Their staff is always professional, friendly and caring; the physicians are always on top of the latest news in healthcare. If you are ever in need of good chiropractic service, East Orlando Wellness is the way to go! 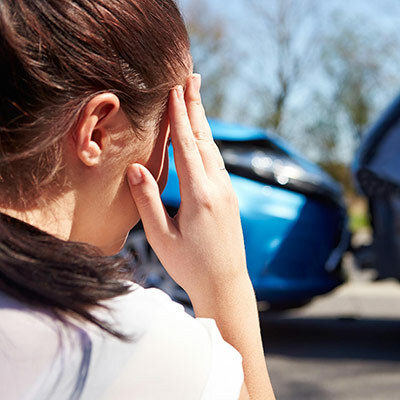 Being involved in an accident is a very stressful situation. However, having East orange wellness to help you will relief a-lot of stress during the treatment process. This place is great by all means. Dr. Eric and Dr. Andres are wonderful, caring chiropractors. All the stuff are great and treat you with respect and passion. These folks like their work. They always have time to listen to your concern. help you in making referrals to specialized orthopedics. they work the extra mile to make you comfortable and happy. Thanks for having you guys in Orlando. Knowledgeable and friendly staff. The doctors always make you feel like you're family and are well versed in the field. What a great staff Orange Wellness has. Each and everyone was extremely helpful and caring. I would recommend anyone to this location if they are looking for an easy and comfortable transition back into wellness. Thank you Dr. Feiter, Dr. Perez and staff for all your help. I Highly recommend a visit. And my pain is gone down 10 to just 1.